From Jesse James, to Wyatt Earp, to the Duke himself, the legends of the American west rode to their fames on the backs of their most trusted allies and friends – their steadfast and often celebrated loyal steeds. The west was indeed won on the backs of the time-honored American Quarter Horse, and pioneers conquered the land thanks to these strong and charismatic contributors to Wild West lore. Creating a special bond and relationship with these beautiful animals can be a uniquely personal experience and change the way we see nature and our role in it, and there’s no better place to enjoy living out that reality than the breathtaking surroundings of Rainbow Trout Ranch. Let our trails carry you away from it all and back to the very origins of our nation. Experience the timeless grace of the land, the exhilarating rush of the wind at your back, and the warmth of pure sunshine. Ride in the paths of pioneering trailblazers whose determination and optimism could not be shaken by the enormity of God’s country. This place of legends will become a defining place in your own family’s history, a place to come together, reconnect and build memories for a lifetime! You’re in good hands here! RTR is very proud of its horse program and the wonderful riding that we have to offer. David and Jane have put together a program that they would enjoy were they to go on a horseback vacation and guests often say that this is the best horse program they’ve ever experienced. There are extremely challenging and advanced rides as well as gentle, teaching rides and everything in between. 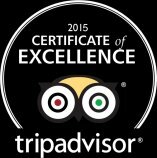 We know that you will find our riding absolutely fantastic. There is plenty more information on our riding program below, or please feel free to call anytime should you have questions. Suffice it to say that we can guarantee that you will find both our riding and our horses truly superb. The ranch owns an excellent string of over a hundred horses in the guest remuda, and close to a hundred and thirty on the property, so we can find the best match for each person’s ability. David and Jane are team-ropers and they breed Quarter Horses on the ranch as well as train and sell horses. Please see Van Berkum Quarter Horses for more information. 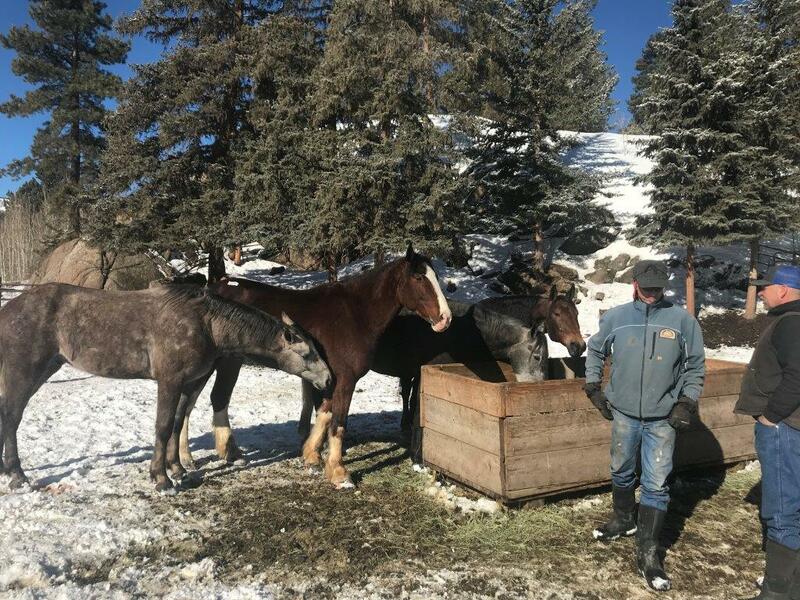 Our many ranch horses will challenge the most experienced riders or take care of total beginners and children. We begin the week with a main orientation and then break into riding groups so you and your horse can become better acquainted. The rest of the week we will have a variety of rides based on ability and interest. Some of the rides take you high into the mountains for spectacular views, others meander up the river through open meadows, and still others will focus more on trotting and loping. 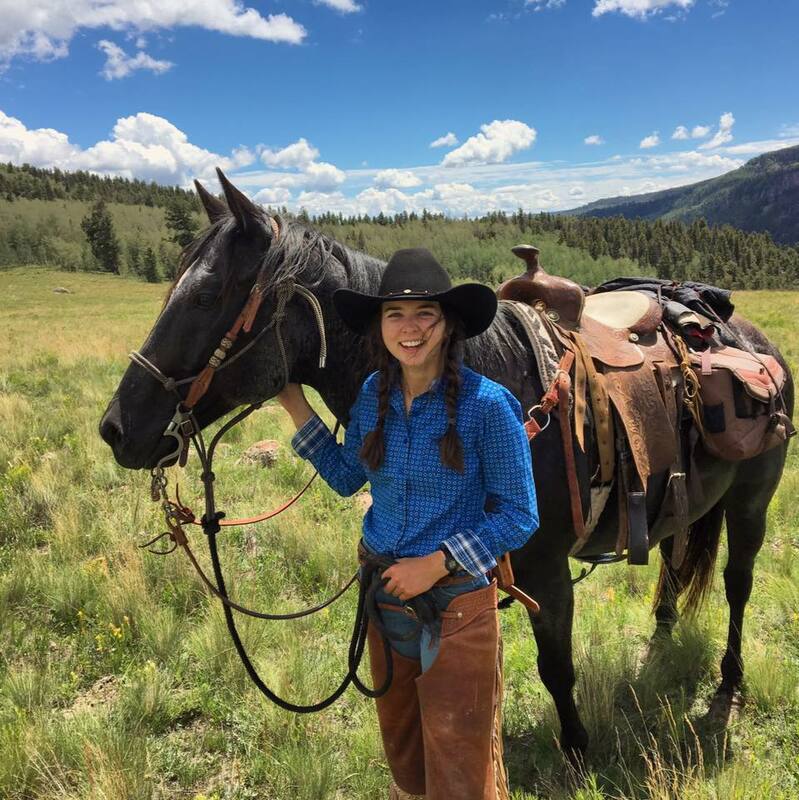 Our wranglers are superb horsemen/women and instructors and they cater to individual riders, making everyone feel comfortable while enjoying the beautiful scenery from a good horse’s back. Spectacular all-day rides with waterfalls and views of the Continental Divide are offered later in the week. We also have an arena where you can work cattle and compete in team-penning, as well as practice for our weekly ranch rodeo. Each day we offer up to nine rides twice a day, plus children’s and teen rides. We divide by ability level or destination choice into small groups that scatter out into the nearby national forest and wilderness. All of the rides are wonderful, but over the years some rides have become favorites with return and new guests alike. These include Charity, First Meadows, Beaver Lakes, the Notch, Elk Creek and the Backcountry, just to name a few. Charity is a rocky outcrop that rises about 800 ft. behind the ranch. It is part of three such outcroppings, Faith, Hope and Charity, which were named in the 1920’s. The path to Charity is steep but the horses are surefooted and soon you reach a meadow (often we see elk here and bighorn sheep nearer the edge) where you leave the horses and hike a short way to stand looking out over the lodge and ranch buildings, the river and pastures and the beautiful valley below. If you are nervous of riding up, you can always do the Wednesday morning hike up instead. The trail to First Meadows winds its way up fast-flowing Elk Creek, sometimes close beside it, sometimes high above, until you round a corner and a beautiful meadow ringed with aspens lies beneath, the creek meandering gently through it. Once you’ve looked your fill, you raise your eyes and see a waterfall plunging down across the valley. We can take a break in the meadow or at the falls. The return is like another trail affording views from a different angle and each turn bringing fresh beauty. Beaver Lakes is one of our all-day rides. It takes you through giant stands of aspen, past countless beaver dams, mountain lakes and rocky sculptures, to a pristine lake tucked up against the multicolored cliffs. Here you have lunch and perhaps a nap under a sky of aspens or you can take a short hike to the beautiful waterfall. The return takes in First Meadows and another spectacular waterfall. It is a glorious ride and one suitable for children eight and older who are comfortable in the saddle. Or for anyone who wants to see the magnificent scenery only reachable on an all-day ride. Another of our all-day rides is The Notch. Much steeper than Beaver Lakes, this ride climbs the mountain ridge west of the ranch in a series of switchbacks, eventually topping out on top of the world. All around are the peaks of the San Juans and a view of the Continental Divide; views down the valley are breathtaking. The return incorporates First Meadows, with its waterfall and serene enchantment. Elk Creek is a short ride from the ranch, and a source of endless riding possibilities. Whether crossing back and forth, loping up the nearby trails, finding viewpoints and meadows, or riding along through the aspens and pines of the surrounding national forest, you will fall in love with this mountain creek. High above and behind the ranch, the Backcountry stretches away, eventually rolling down to the San Luis Valley and the Sangre de Cristo Mountains nearly a hundred miles away. The ride up and back to the backcountry is steep and days in the saddle are long up here, but the views, meadows and sheer size of it are more than worth it. It is beautiful open country for loping and for wildlife viewing. Two of the highlights of the backcountry rides are the views from Rocky Top and the Overnight Cliffs. From Rocky Top there are 360 degree views, each of them breathtaking—for example, due east you look across the San Luis Valley to the Sangre de Cristo Mountains with Colorado’s fourth highest peak, Mt. Blanca, dominating. And the Overnight Cliffs present a view that stretches across the Conejos River Valley to the Continental Divide, and down to the river 2000 feet below. There is more about the backcountry in the story about Zorro. Should you wish to do an overnight ride, backcountry trip or fishing trip, we are associated with Rainbow Trout Outfitters and arrangements can be made through them in conjunction with your stay with us and at additional costs although we do discount for Rainbow Trout Ranch guests. You may even want to consider booking a trip after your dude ranch stay. Please call us for more information regarding Rainbow Trout Outfitters. We look forward to sharing the magic of riding at Rainbow Trout Ranch with you. Whatever your ability, you will have a wonderful time.